Welcome to 26-14 Jackson Avenue, a premiere collection of luxury rental residences, offering spacious and thoughtfully-designed studio, one-, and two-bedroom units in the vibrant Court Square section of vibrant Long Island City Queens. 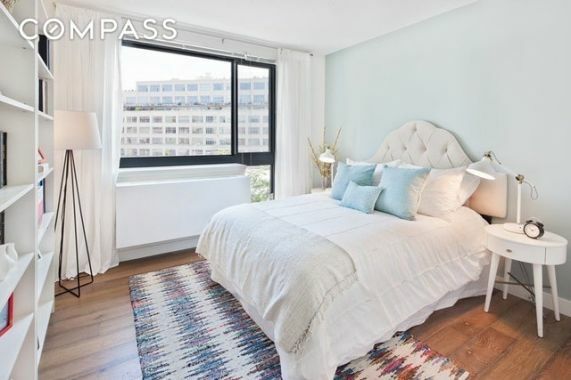 All apartments boast sleek stainless steel appliances, beautiful hardwood oak flooring, and generous closet space. Residents enjoy countless building amenities, including a state-of-the-art fitness center, part-time attended lobby, and a furnished roof deck with gorgeous picturesque views of Long Island City, Queens and the Manhattan skyline. Located in one of New York City's most desirable and dynamic neighborhoods, 26-14 Jackson Avenue is surrounded by sprawling park space, one of NYCs most recognized art scenes, dining and nightlife venues, and convenient transportation options: the E, M, R, and G trains can be found just across the street from the building. Only a 5-minute subway ride away from Midtown Manhattan, 26-14 Jackson offers a mix of luxury, atmosphere, and convenience and the ultimate city lifestyle. Call, text or email me today for more information and to schedule your viewing.